I remember when I thought that making whipped cream was a labor-intensive process. Ah, I have had so much to learn in the kitchen. Whipped cream is simply one of these easiest pie toppings to make and spicing up your whipped cream is an easy way to add a personal touch to a store-bought pie. This spiced whipped cream recipe will bring an extra layer of spice to your pies that your guests will absolutely love. 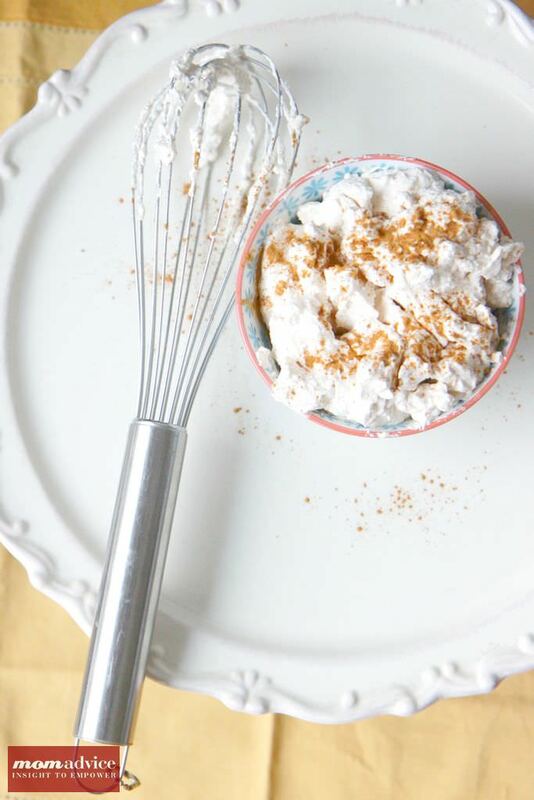 The best part is that this easy spiced whipped cream topping can be created in under 5 minutes and with a couple of items you probably already have lurking in your pantry. In a perfect world we would all be making handmade pumpkin pies made with homemade crusts. I thoroughly love baking, but I also know that it isn’t for everyone. For those of my friends who prefer to put their love in other elements of the holiday, I am going to show some easy ways to spice up those store-bought pies that will take those pies to another level. Before I became acquainted with the kitchen, I really thought whipped cream was just Cool Whip and homemade whipped cream was a powder that you added water to that made whipped cream. Of course, I know a few more things than I did 10 years ago, but it still makes me giggle to know how detached I was from the culinary world. 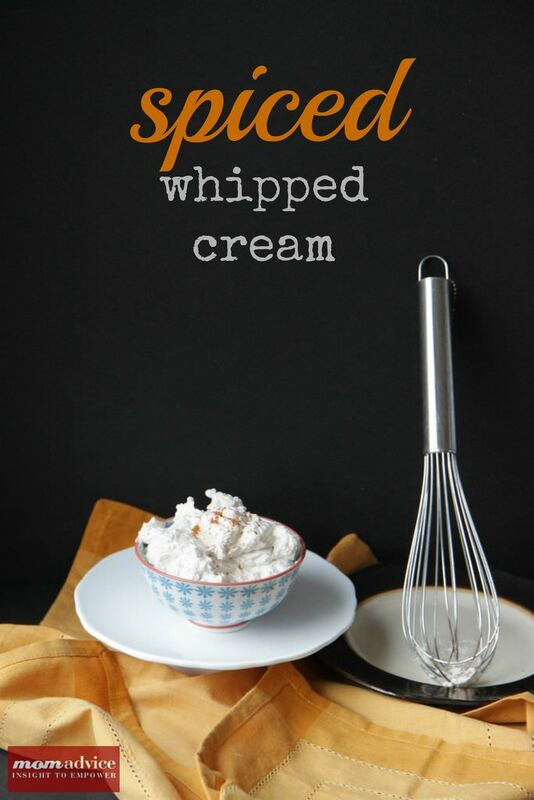 Whipped cream is actually just heavy whipping cream, whipped until it forms peaks and you can add your own spin on sweeteners, spices, and extracts to create your own unique combination of sweet and spicy. It’s perhaps the simplest and most satisfying of pie toppings. This Spiced Whipped Cream gets its hint of spices from ground cinnamon, ground ginger, and a little sugar. It is the perfect accompaniment to your pumpkin or pecan pies for the holidays. 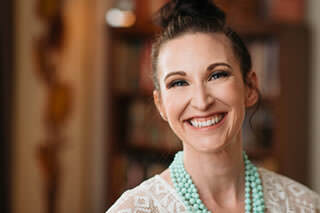 Tomorrow I will share with you one other fun topping to try on your pies along with some fun ideas for entertaining the kids! 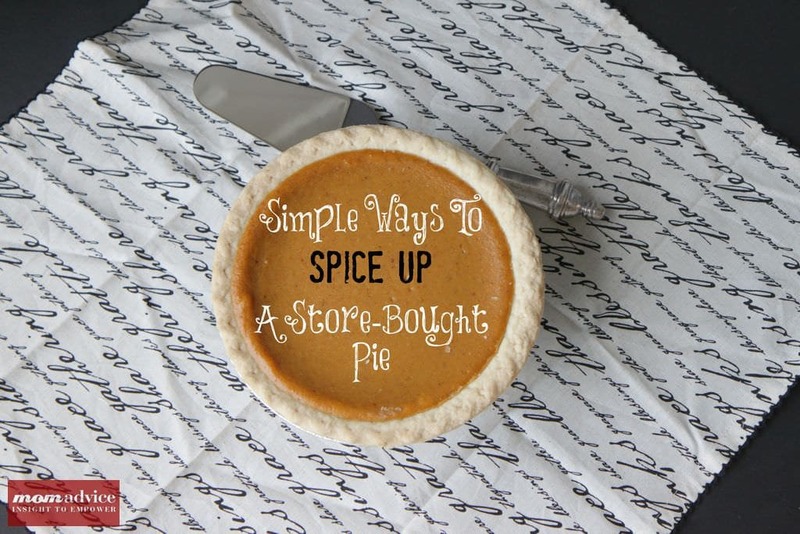 Spice up your store-bought pies with this easy Spiced Whipped Cream topping! 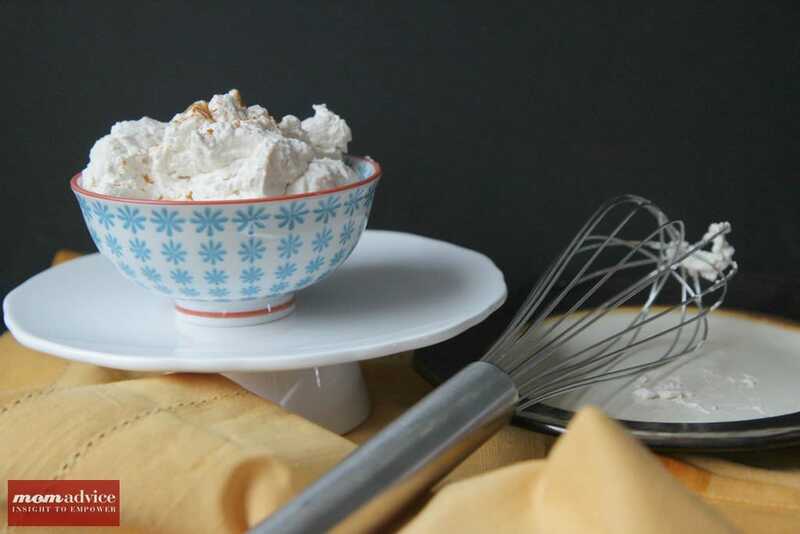 Beat whipping cream, sugar, ½ teaspoon cinnamon, and ¼ teaspoon ginger in bowl until peaks form. Spoon on top of slices of pie.